The atmosphere at Prudential Center on February 9, 2016 was filled with a heightened level of excitement. Fans in a sea of #30 jerseys were nervous and excited as they rushed to get to Prudential Center by 6PM. Outside of the arena, in the cold, bitter air, one could feel the energy in the air building up as fans piled into the building. It was that same kind of excitement and energy you could feel whenever the Devils were in the Stanley Cup Finals. 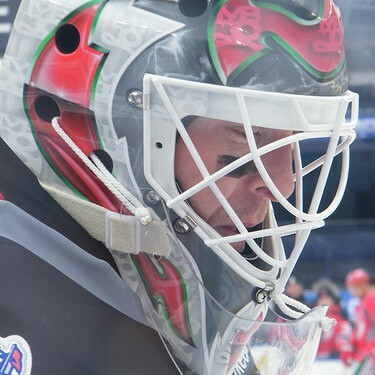 The last time that feeling emanated through the air in Newark, New Jersey was in 2012, the last time the legendary goaltender Martin Brodeur played in the Finals. But this wasn’t the Finals. This was the night the New Jersey Devils would honor him as a legend and lift his #30 to the rafters. This was Martin Brodeur’s night. Here is the press conference after the ceremony. 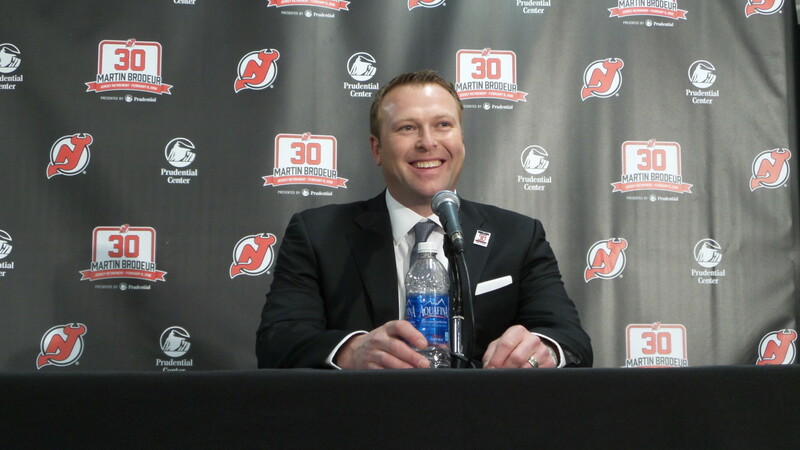 Throughout the game, players and teams throughout the league tweeted out their congratulations to Brodeur. Even the Edmonton Oilers came out on the bench to watch the ceremony. This entry was posted on February 11, 2016 by Michelle in Adam Henrique, Martin Brodeur, New Jersey Devils.